What made this all the more interesting is that in doing so, Barber had thrown away the opportunity to earn a PGA Tour card, but on the other hand his honesty allowed six other players to advance to Q-School’s second stage. While this is a very big move for such a young man to make, everyone knows deep down in their gut when they do something wrong and Barber should be commended for his honesty and perhaps the karma gods will reward him someday. Who doesn’t love the final scene of Caddyshack? When Danny Noonan and Al Czervick beat Judge Smails after Danny’s ball drops into the hole thanks to a small earthquake caused by Carl Spackler’s attempt to blow up the gopher, sports comedy at its best! However, unfortunately for Danny, according to USGA rule he should have added an extra stroke when the ball fell in. As there’s a rule that states you are only allowed to wait 10 seconds after the ball comes to rest, if the ball falls in after then you have to add a stroke. Unluckily for Lee Janzen (1998 NEC World Series of Golf) and Meg Mallon (1996 Jamie Farr Kroger Classic) they both got burned by this rule when they failed to add the penalty stroke when a putt fell in after the allotted 10 seconds had passed. Craig Stadler (aka ‘The Walrus’) thought he had finished second at the 1987 San Diego Open; however he was later to learn that he had broken Rule 13-3. What had happened was his ball had landed in some mud up against a tree on the 4th hole and Stadler had to kneel down to be able to hit it. As he was wearing light coloured trousers he put down a towel on the wet ground and kneeled on it whilst taking the shot. Seems relatively innocent right? However an eagle-eyed viewer who had watched from the comfort of his armchair phoned in to complain to PGA Tour officials that ‘The Walrus’ had violated Rule 13-3 by “illegally building a stance”. 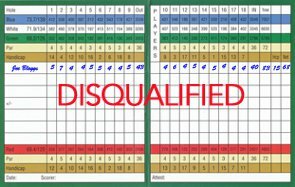 Subsequently since he hadn’t added the two penalty strokes to his third round score he was disqualified for signing for an incorrect score. It turned out that this viewer cost Craig Stadler $37,000 in prize money. 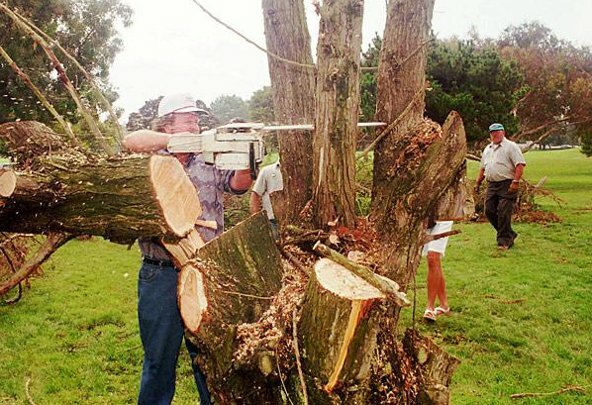 Craig Stadler getting his own back on the tree which cost him $37,000. Craig Stadler has not been the only professional to be stumped by an observant fan watching from home. In the 2010 PGA Championship Dustin Johnson was also caught out. 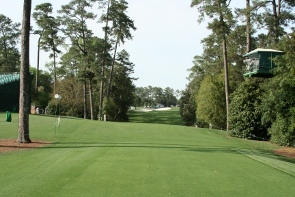 After a wayward tee-shot right of the fairway the ball came to rest on a sandy patch of ground which had been trampled on by spectators. It turned out that Johnson had played his second from a bunker and he had grounded his club in the process, which of course resulted in a two stroke penalty and subsequently meant he missed out on the play-off. Whistling Straits has hundreds of small patches of sand in the rough and thanks to a local rule are deemed to be bunkers. Johnson was left somewhat confused as to why spectators were allowed to stand in these so called ‘bunkers’, which is perhaps why he assumed he was allowed to ground his club in the first place. 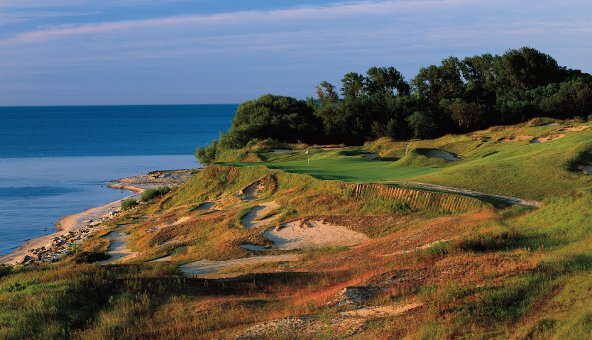 Whistling Straits is a beautiful course, but be sure not to ground your clubs in the many patches of sand surrounding the course. Print article This entry was posted by Jerome on November 7, 2012 at 4:53 pm, and is filed under General. Follow any responses to this post through RSS 2.0. You can leave a response or trackback from your own site.